The brand derives its name from the Latin word reverti, meaning “to go back to where it was”, reflecting their philosophy to use restorative ingredients to gently repair damage and calm skin. 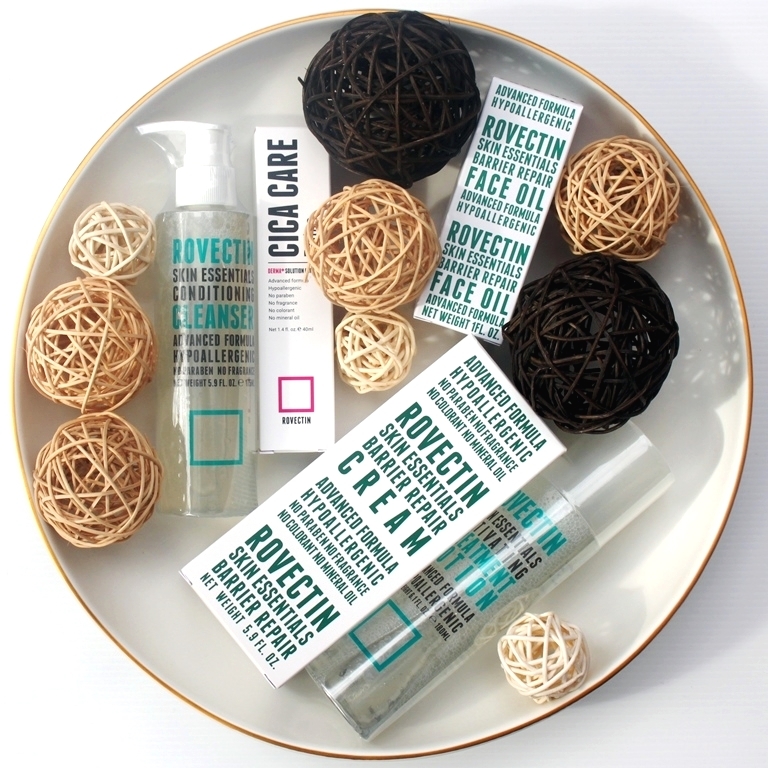 Rovectin creates products using non-irritating but effective formulas to soothe and revitalise the most sensitive skin. Their Barrier Repair Complex™ features in cream created exclusively for hospitals and physicians worldwide. 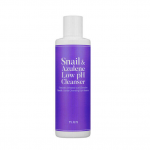 This conditioning cleanser comprises several naturally derived surfactancts that contribute foam and cleaning properties to the product. These are balanced by a solid dose of Glycerin, a humectant that draws moisture from the atmosphere into the skin while also having an emollient effect, able to return smoothness and softness to the surface. 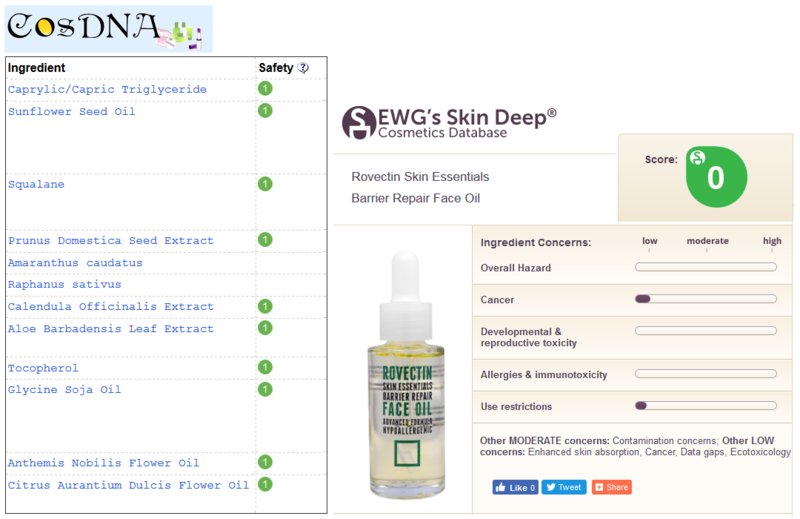 The ingredient list has been deemed gentle and without warning flags by both CosDNA and EWG. The cleanser is presented in a plastic bottle with a pump action dispenser. It has a near clear, gel like consistency and a mild coconut scent contributed by the many natural surfactants derived from this fruit. There is no added fragrance. To use, I apply the product to a damp face and massage in circular motions to generate a gentle and light lather that Rovectin aptly calls a micro foam. It rinses off easily in cold or warm water to reveal clean, bright and smooth skin. There is no sense of tightness or dryness indicating that the moisture barrier remains protected and intact. The skin feels soft and hydrated. This result is supported by an ideal pH reading of 5.5. I enjoy products that have an uncomplicated objective and fulfil it perfectly. This product simply delivers a great second step cleanse (it is not a makeup remover) and that is all. I have combination skin and find this effective and comfortable to use daily. 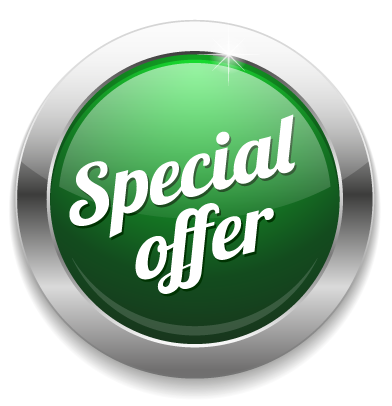 Combining favourable results with an ideal safety rating, I think it will suit all skin types, including sensitive, and have no hesitation giving it a solid recommendation. A full review can be found here. 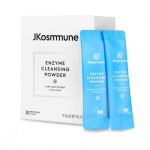 The cleanser can be purchased at Style Korean. 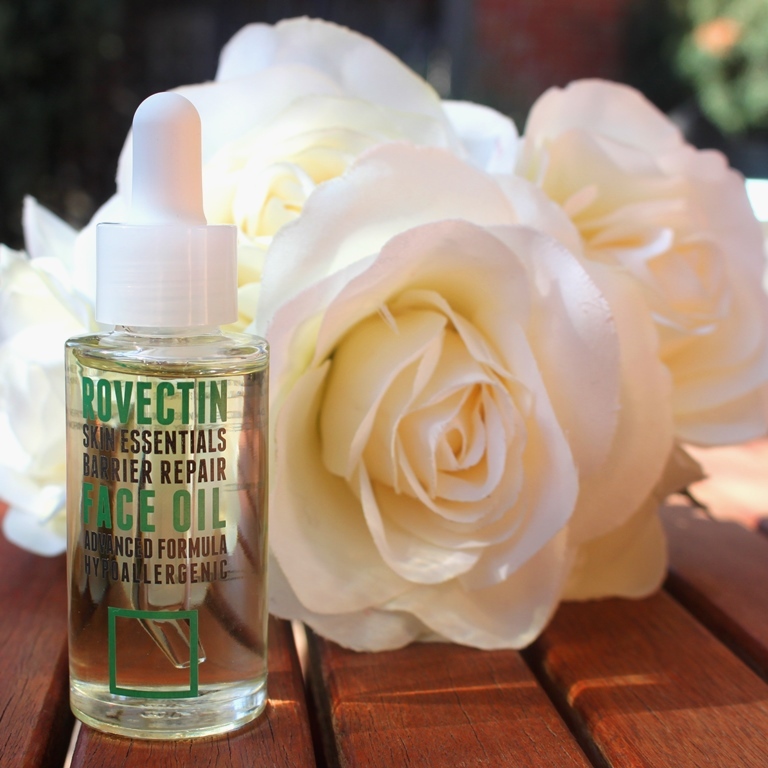 The Rovectin Skin Essentials Barrier Repair Face Oil is a rich, quick absorbing, natural Neroli oil enhanced with gentle skin-nourishing ingredients which penetrates deep into the skin to hydrate, nourish and protect. Lubricating emollients, free radical fighting antioxidants and softening fatty acids are well represented in this nourishing oil blend. 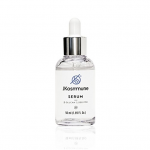 Noteworthy contributors include Tocopherol (Vitamin E) , Sunflower Oil, Radish Oil, Squalane and Plum Seed Extract. Together, they help moisturise, hydrate and soften without leaving a greasy residue. Calendula Officinalis, Aloe Vera and Camomile add anti-inflammatory strength for soothing effects while Neroli Oil provides a sweet, mild citrus scent that is non-irritating. 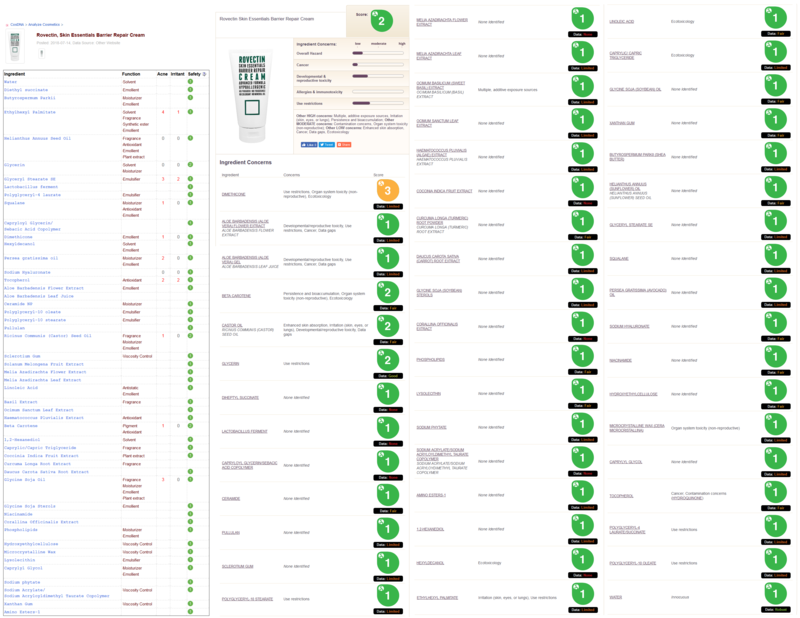 An ideal assessment is returned from both the CosDNA and EWG resources, confirming a perfect safety rating. The oil comes in a simple, elegant bottle with dropper dispenser. Only a few drops are required per application but as absorption is so fast and without residue, I am a little heavy handed. It is quite lightweight but nutrient rich. The natural, orange scent is also light. I use it before or mixed with moisturiser both day and night. 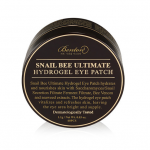 It’s packed with humectants and moisturising agents so it’s not surprising that it is effective at enhancing hydration. Immediately after application, my skin’s texture improves with results being pleasantly long lasting. It feels softer to touch and more plump. Regarding claims of protection, there is a good amount of Vitamin E in the formula, a potent antioxidant which guards against free radical damage caused by environmental stressors and associated premature ageing. I found it highly compatible with my combination skin. Strong moisturising capability would complement those with drier skin and it’s lightness and quick absorption would also appeal to oilier complexions. 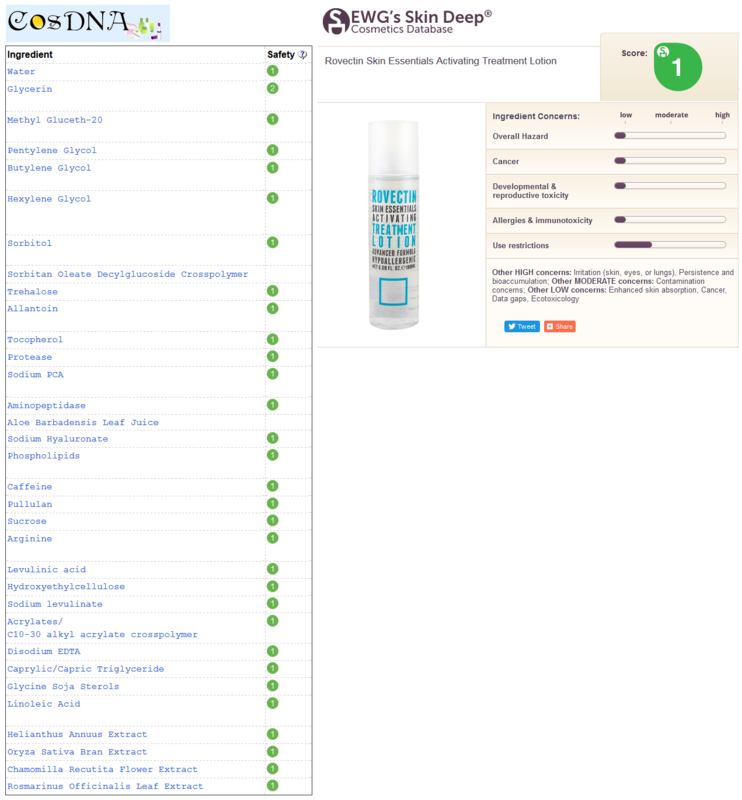 Those sensitive to essential oils should patch test first. A full review can be found here. The face oil can be purchased at Style Korean. 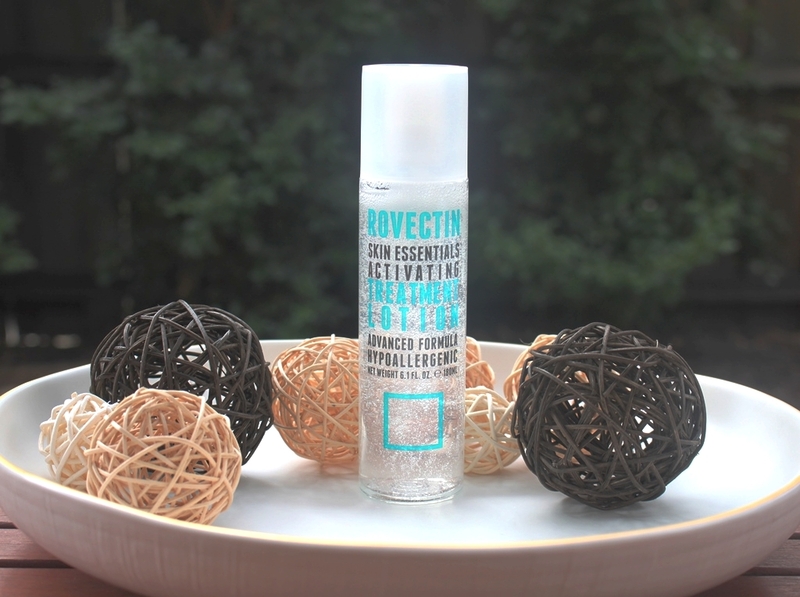 The Rovectin Skin Essentials Activating Treatment Lotion claims to enhance the look and feel of your skin with immediate results and lasting benefits, achieved with Rovectin’s Barrier Repair Complex™. It also gently exfoliates with natural enzymes, tones the skin and reduces puffiness. A generous representation of humectants and moisturising agents increase water content, acting to reduce dryness in the skin. These are well complemented by emollients and gentle exfoliants that help return skin smoothness and softness. Caffeine has a constricting effect that can improve the look of redness and puffiness while botanical extracts including Rice Bran, Matricaria Flower and Rosemary round the formula by enhancing antioxidant activity and delivering soothing anti-inflammatory effects. Ideal results are once again returned from both the CosDNA and EWG resources confirming product safety. 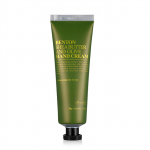 In terms of consistency, the lotion resembles a clear, runny, light gel with a slightly medicinal scent that dissipates quickly. It it presented in an easy to manage bottle with dropper top and lid. I pat 2 drops directly onto my skin after toner and before moisturiser. Only one layer is required. It absorbs nicely although it does leave a slightly tacky residue. 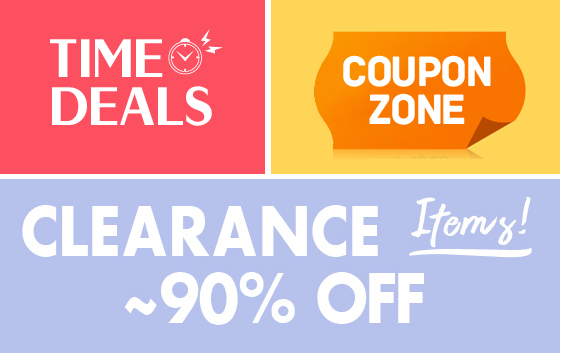 Subsequent layers eliminate this sensation so it doesn’t bother me. In terms of performance, I found this lotion to be simply lovely. 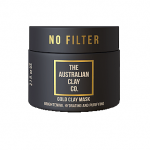 My face felt smoother and softer immediately after just one use and one layer. 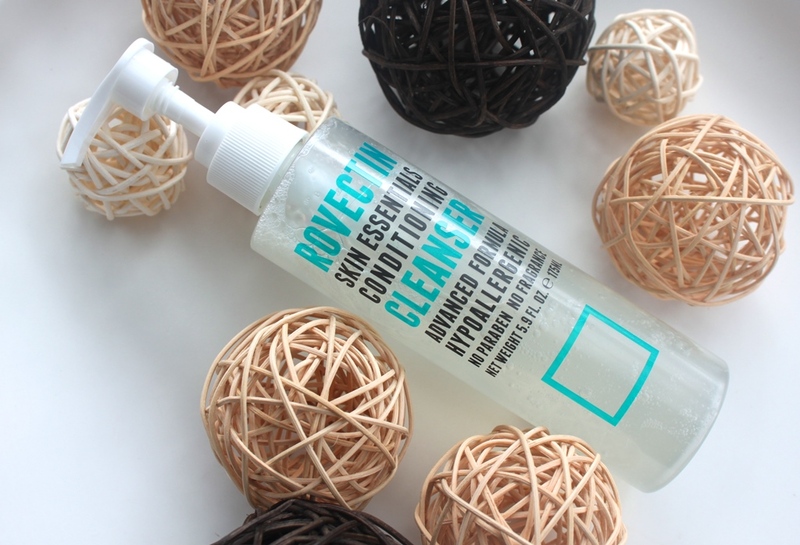 Clearly the large number of humectants and moisturising ingredients in this formula perform. The moisture and texture enhancement it provides have proven addictive as I continue to use this in both day and night routines. 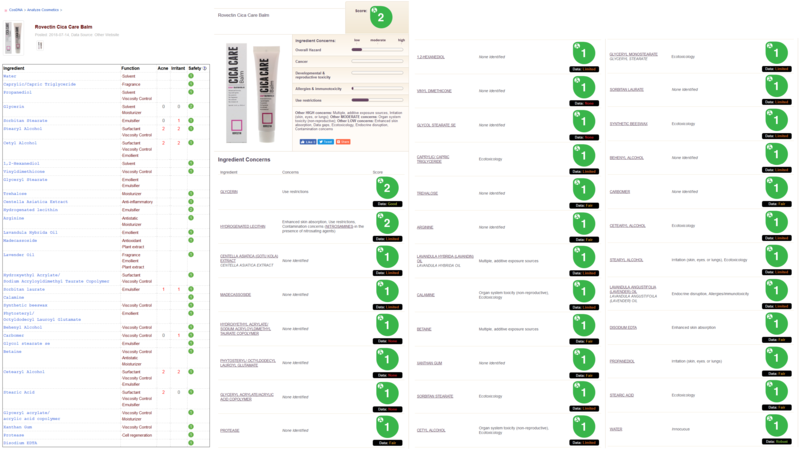 Combining the great results and safe composition makes it a winner for all skin types. It’s gentle enough for those with sensitive skin while moisture retention and enhancement will impress those suffering dryness. My combination skin happily drank it up. 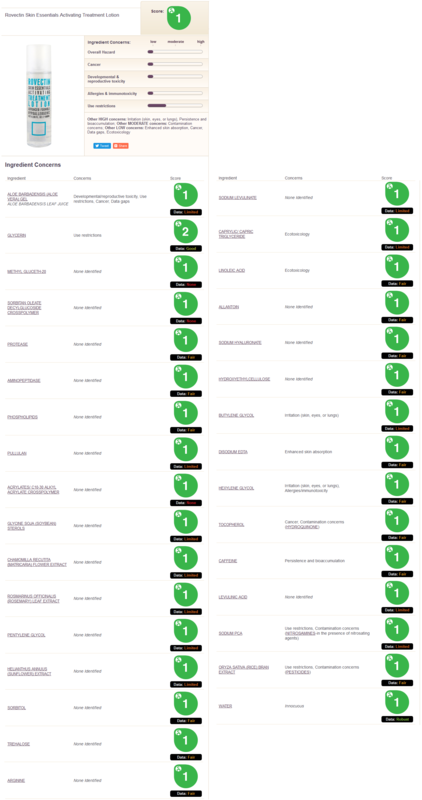 A full review is available here. The lotion can be purchased at Style Korean. 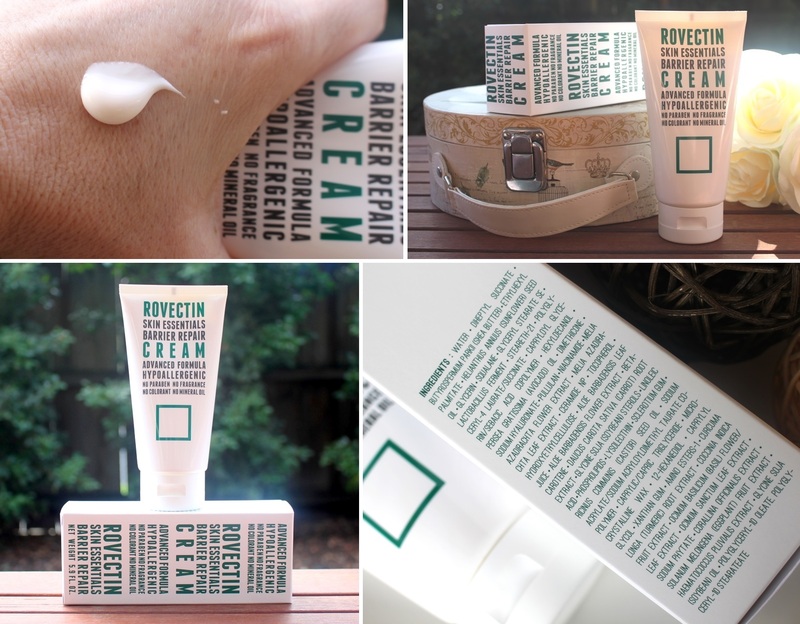 The Rovectin Skin Essentials Barrier Repair Cream claims to be an ultra-hydrating, gentle face and body cream that heals dry, damaged or irritated skin by forming a resilient barrier against future damage. This cream combines powerful antioxidants that protect the skin against free radical damage with moisturising ingredients, ceramides and softening fatty acids that retain and strengthen the moisture barrier. In particular, antioxidants Tocopherol, Sunflower Seed Oil, Soybean Oil, Beta Carotene and the most notable, Astaxanthin which is said to be 550 times more potent than Vitamin E, perform this function. Plant extracts including Eggplant, Neem, Basil, Turmeric and Carrot enhance this protection and also contribute calming and soothing effects. Oils additionally play their part. Squalane improves hydration, skin plumpness and softness while lipids and fatty acids focus on strengthening the skin barrier. Water attraction and retention is bettered by Sodium Hyaluronate, Ceramides, Aloe Vera and Glycerin while Niacinamide helps restore tone and dullness. 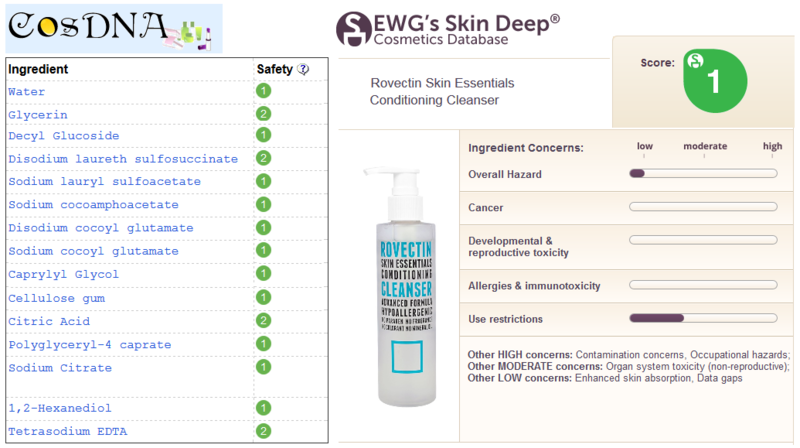 Both the CosDNA and EWG resources confirm a low hazard rating for the cream. The cream has a soft texture and no obvious scent. I use this as the last step of my routine. Its packaging and application remind me of sunscreen. It feels thick, a little occlusive on the skin and lacks a silky slip, dragging a little in application. This is not surprising given the number of ingredients included to help achieve a film. 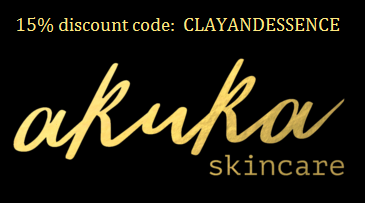 I didn’t experience blocked pores, my skin able to breathe and remain clear without breakout. Regarding efficacy, it certainly helped to trap in moisture for several hours although I did need to top up (once) between day and night applications to ensure my skin felt moisturised over a 12 hour period. The objective of this product is met since the skin barrier is reinforced, preventing moisture loss and therefore enhancing skin hydration. However, I enjoyed using this more as a body cream than a face cream due to its texture and film forming nature. Combining its hypoallergenic and seemingly non-comedogenic formula with ideal safety ratings generated from a fragrance, colour, mineral oil and paraben free composition, it would certainly suit all skin types. Furthermore, its hefty volume also makes it a budget friendly choice. A full review can be found here. The cream can be purchased at Style Korean. 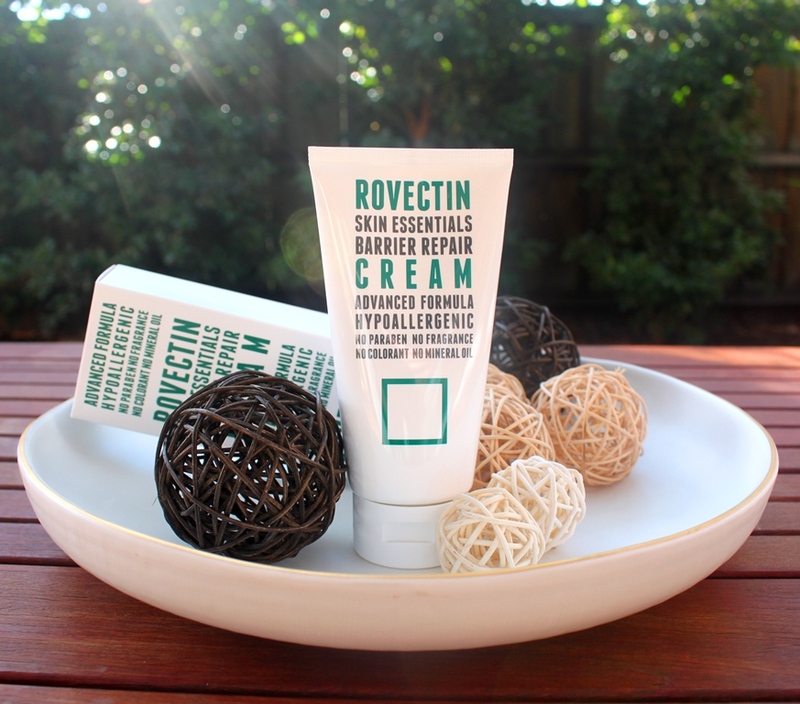 The Rovectin Cica Care Balm claims to soothe troubled skin with highly enriched Madecassoside, to restore even sensitive skin to a healthy state. 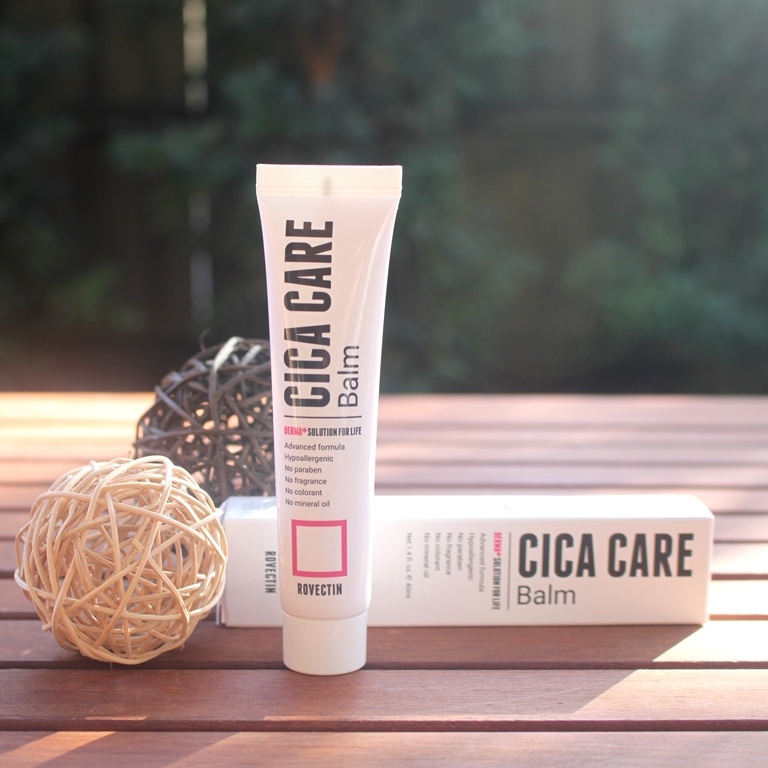 The balm comprises two main categories of ingredients: those that heal already irritated and inflamed skin and those that rebuild and strengthen the moisture barrier to prevent future damage. 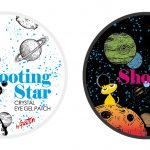 The former are the stars of the product offering anti-inflammatory healing benefits to ease irritation and acne as well as stimulating new cell growth. These include Madecassoside, one of four primary compounds of Centella Asiatica Extract (often referred to as cica and where the balm derives its name) and Calamine which provides the cooling sensation. The latter basically comprise a good mix of fatty acids to restore the barrier and prevent moisture loss. Ingredients responsible include Caprylic/Capric Triglyceride, derived from coconut oil and glycerin plus fatty alcohols Stearyl, Cetyl and Cetearyl. Additional hydration is contributed by Trehalose and Glycerin. Giving the balm it’s distinct scent while also contributing antiseptic properties is a range of lavender oils. Although the smell is quite pleasant and dissipates after application, those with sensitivities should patch test first. The balm looks like a glossy cream and has the softest of pastel pink hues. It spreads easy with plenty of slip. As soon as it touches the skin, a refreshing cooling sensation is experienced which provides instant soothing to the irritated surface. I use it as a spot treatment rather than an all over moisturiser. It soaks in easily and quickly as the last step of the routine. This balm was very pleasant to use. In making my assessment, I defined ‘troubled’ skin as skin suffering irritation, inflammation, surface damage, redness and any forms of acne. As I don’t suffer pimples, I couldn’t test its effectiveness against this condition. I am prone to blackheads and observed that this product made no impact on these at all. However, where I did notice some improvement was in easing redness and irritation which I tend to develop around my chin. 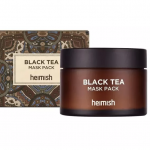 It did this enhancing hydration and reducing inflammation to basically fulfil the objectives of moisturiser and soother in one handy product. Add to that a safe formula and it would suit all skin types, offering relief from inflammation and irritation when needed. A full review can be found here. The balm can be purchased at Style Korean. 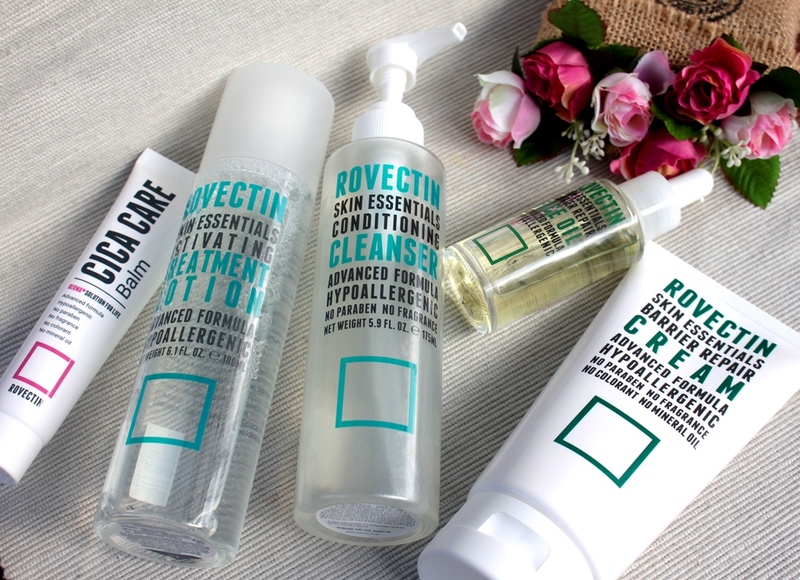 Having used and studied these products over the last few weeks, I am satisfied that Rovectin fulfils its claims to produce skincare that is safe and effective. 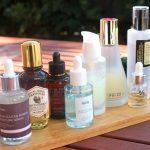 Each product had a positive impact on my combination skin. The cleanser worked without stripping, the oil hydrated and increased suppleness, the lotion enhanced moisture levels and tone, the cream moisturised and the cica balm helped heal and strengthen skin. 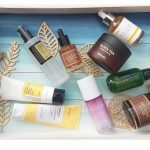 I have enjoyed incorporating each product into my routine and plan to continue using them until completed. 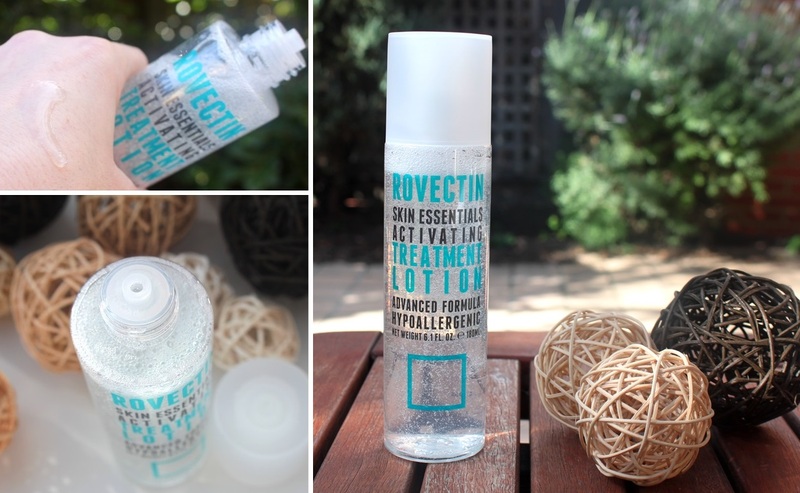 The Rovectin Try Me, Review Me Skincare Set was provided to me free of charge by Style Korean for review. 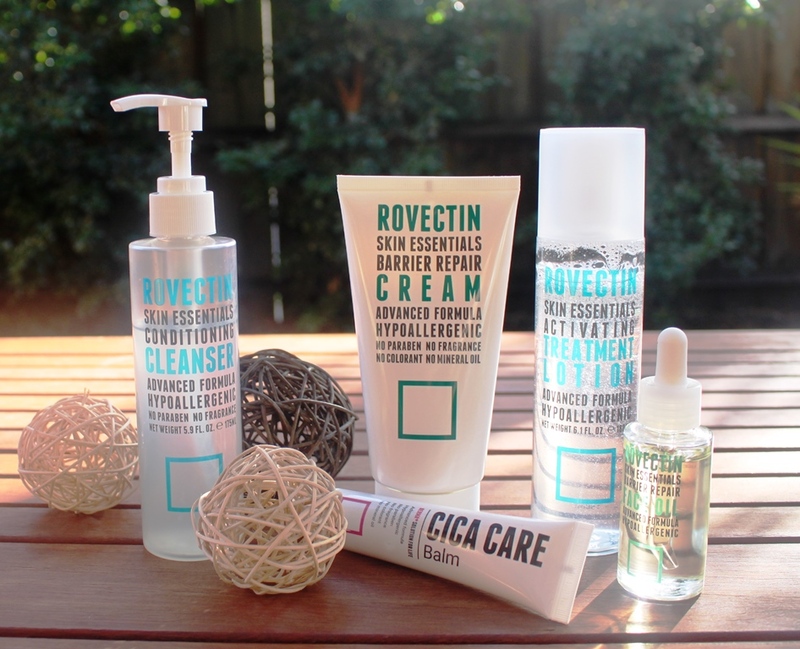 This post only includes my honest opinion and experience of these products and is in no way influenced by Rovectin, Style Korean, any of their representatives or any other third party.